When it comes to marketing your business online, there are some strategies and techniques that you need to put in place to help you stand out from your competition. These strategies can help your website compete with the thousands of website available online and increase the visibility of your business on search engines. If you are worried about spending a lot of money, just know that you can find many of the great results using free online marketing tools for small business so you don’t have to break the bank to get many of these tools! The truth is that if you want your business to succeed and grow, then you need to get found on Google whenever a potential customer searches for you online. This is the only way that you can attract and close qualified leads without spending a lot of time and money with other paid advertising channels. One of the best ways to increase your website’s rankings and drive traffic is a white hat link building strategy. If you’re not familiar with the term, link building is simply the process of acquiring external and internal links to your website. There are different link building strategies that business owners can use to bring their site to the first page of search engines, so let’s take a look at some of the most efficient and effective link building strategies for your business! If you are just getting started with a link building strategy, then the first thing you should do is examine the links that your competitors have. This is as simple as using a tool like Ahrefs to explore their backlink profile. The reason this is often the first step to create a great link building strategy is that you will be able to focus your efforts on blogs and websites that you know are open to hosting content about your industry. Instead of spending time and money randomly searching for sites to build links from, you can focus your attention on a few good locations that you know will accept your content. Viewing your competitor’s link profiles can help you get ideas on sites which should be linking back to your website. In this way, you can be sure you are on the right track, and your site is worthy to compete with your competitors. This will help you reduce costs and be more efficient as you grow your online presence with ethical link building tactics. Google loves regular fresh content. It also loves internal links. The best way to build internal links and provide regular fresh content is by adding a blog to your domain because your business blog provides you with a unique outlet to talk to your customers and build your brand. In each blog post, you should cover specific topics or themes that you know your customers will find meaningful. As you write your professional blog content, be sure to include links from the blog post to specific pages of your website. 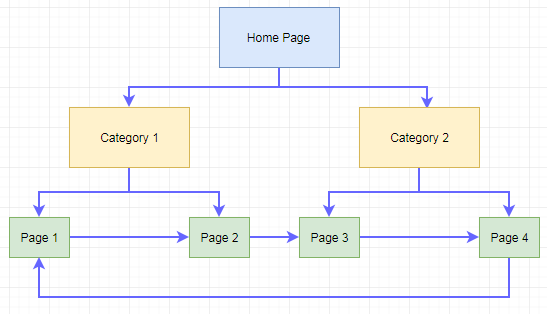 This interconnected system of linking helps Google and other search engines understand your content and boost the ranking system of your pages. To make this strategy successful, you have to post fresh content on the blog regularly and link the posts to your homepage and other important pages on your site. Not only does a business blog helps with internal linking throughout your site, but it also ensures that you have content to post on social media, link to in guest blogs, and send prospects in emails. Your blog is an asset, and your business will benefit from setting up and maintaining a professional business blog. Guest posting involves writing and posting content on a high-quality site to get a link back to your site. Typically, a link is placed in the Author Bio section at the end of each post, where you can add a link to a designated page on your website. One of the best ways to find websites in your industry that will accept guest blog posts is to type your niche and then “write for us” after it. This method will help you find sites that Google believe are trustworthy (since they appear on Google SERPs) and accept guest posts (since you include “write for us” in the search phrase). Guest blogging is not only a great way to earn links to your site, but it is also a powerful way to grow your brand and increase your online presence. This is because as you contribute more high-quality content to authority sites, your readers will see your name and content all over the Internet. This will help you earn their respect and increase traffic to your site over time. When writing a guest post, you should first consider the relevance and quality of the site you’re writing for. This is because having inbound links from a low-quality site cannot drive relevant traffic to your site and may even make your site be penalized. Take the time to review each site and look at their metrics in tools like Ahrefs and SEMrush, because you want to spend your time and resources creating great content for the best sites possible in your niche. Local directories once had a powerful role in link building strategies, but as search engines became more intelligent, the importance of local directories has declined. However, this does not mean that local directories can’t have an impact on your online rankings and you should take time with specific local directories. The local directories that you use will vary based on your market and niche, but if you take some time to post relevant data on each local directory and make sure your listings are consistent, you will find your online presence increase and help drive qualified traffic to your website. Before you submit to these directories, find which of them are specific to your niche or business. When you get the right directory, you need to offer content that the readers will find interesting and useful. At the end of the article, you will then include a Call to Action with a link to your site. This is another outreach and link building strategy that can work out for you. Digital PR involves taking a PR approach to links such as creating a press release, producing a popular and newsworthy story, and getting your business featured in popular websites and online newspapers. While Digital PR may be a very complicated strategy, it can work very well in creating brand awareness. Consider reaching out to your local newspapers or local bloggers about an upcoming conference that you are speaking at. Offer to provide an interview about the event and tell them about who you are, your business, and why you are participating in the event. Local PR promotions are often more valuable for small businesses, but if you want to reach a broader audience consider creating an account on Help A Reporter Out (HARO). This service allows reporters to create opportunities for experts in specific fields, and if you respond to their request, you could be placed on some highly publicized websites. This will have a substantial impact on your link building strategy and help your online presence grow quickly! This is one fun and effective way of building links to your site that doesn’t involve any outreach at all. Creating viral content means publishing highly shareable and valuable on your website and then seeding these links on your social media pages. Many businesses have hit it big with viral content, and since it is something that people want to share your audience will share it with their contacts on social media, email, and on their blogs. When you create an interesting article about a trending topic, your followers will want to share it with their friends. This will lead to an influx of backlinks to your site that doesn’t require your direct involvement in building them. However, while viral content is the most valuable and most efficient way to build links, it is extremely difficult to find an idea and create content that will become viral. Lots of content creators and businesses have tried to create viral content and failed. However, if you consistently create awesome content that engages your audience, then you may find the formula and have a major viral content hit on your hands! While blogging is a great way to earn backlinks for your business, this approach has been overused and often abused. Infographics are one category of content that has not been oversaturated, and if you create great infographics for your business that explains relevant information to your audience, then you could gain lots of backlinks to your website. It’s our nature to share images that share data in a pleasing and eye-catching way. This is an excellent opportunity website owners should take to develop attractive and interesting infographics that can be shared by other people. This will create new links to your site every time your graphics are referenced on other sites, and if you distribute and code your infographics properly, then you will have a more likely chance of gaining the maximum amount of backlinks possible for your efforts. You don’t have to be a graphic designer to create amazing infographics. You can use tools like Canva or Piktochart to create great looking infographics for free or signup for one of their affordable Premium plans. Either way, these tools make it quick and easy for marketers and business owners to create great looking infographics to share with your audience and gain valuable backlinks. 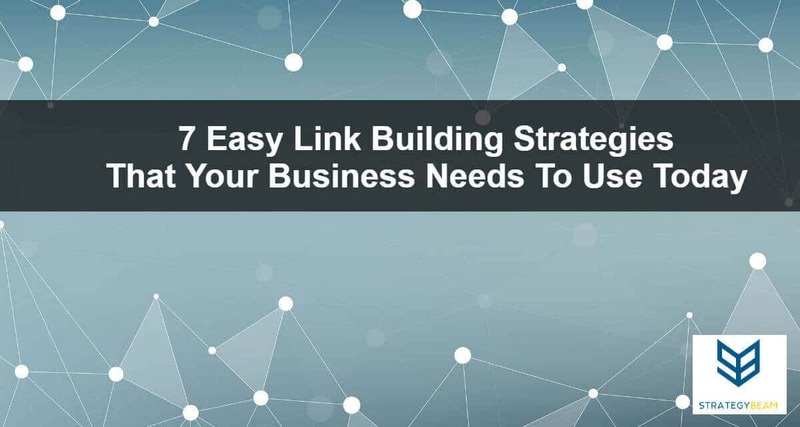 If you want your business to grow online, then you need to spend the time and resources to create and execute a successful link building strategy. The truth of the matter is that there is no way your business will improve your online rankings or attract the customers that you need if you don’t build a strong link building strategy. No matter your budget or amount of time available to spend on link building, there are various ways in which you can increase your website rankings on search engines. Link building is one them that can help your website get inbound links from other sites and make it more visible online. Create guest posts on high authority sites, submit to popular directories and add a blog to your domain and see your website rank on the first page of search engines. If you want amazing results with SEO link building then you should consider hiring me as your professional link builder. 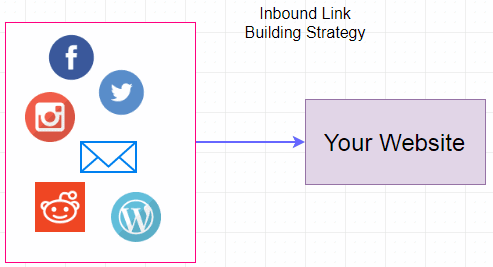 I will use the best white hat link building tactics to ensure that your business receives lots of powerful links to help your business grow and make more sales. Use the contact form below if you are ready to grow your business!